It’s nap time at the pond, but the baby frogs still want to play! Help your baby be the first to race around the pond without being spotted by the sleeping grown-ups. 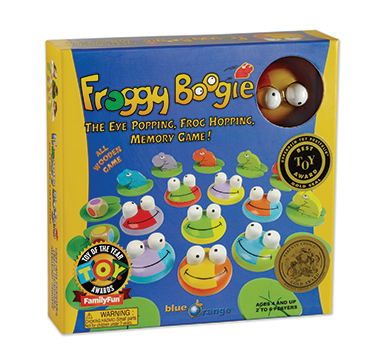 In this magical children’s memory game, you have to remember which frogs’ eyes will freeze the babies in their race. 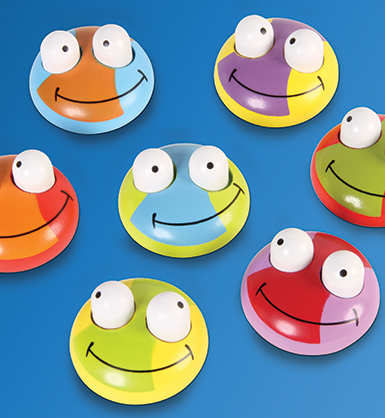 Beautifully crafted pieces bring the pond to life and will have kids squealing with delight! This all wooden memory game is sustainably made.